Posted November 1, 2011 by piet & filed under Mexico, News. 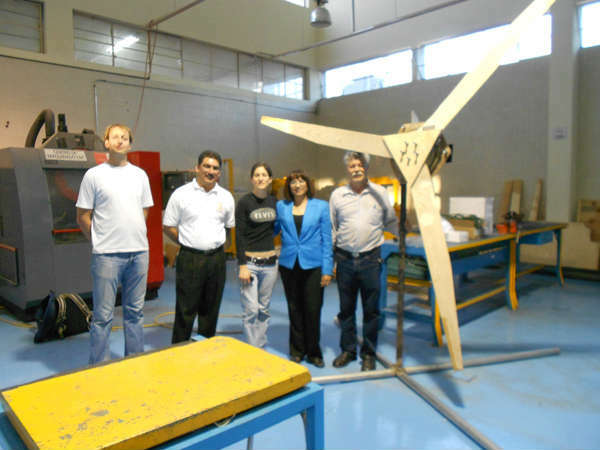 From June to October 2011, a wind turbine construction workshop took place in a technical educational institute in Chihuahua, northern city of México. This activity was developed in collaboration with the “Instituto Tecnológico de Chihuahua” (ITCH), which is a renowned technical public institute (university level) over there. The main target of this activity was to share knowledge and enhance further research in Sustainable Energy, specifically in the field of Wind Energy development in the local level. Currently there are people at the ITCH who are doing research in wind energy as well as in other sustainable energy fields, however they want to grow in this area. The directives and professors in that institute take this point very seriously; thus, they are busy nowadays making strategic planning in order to bring the sustainable development in the curricula to a further level. They pretend to open new fields of research in sustainable energy topics. In this context the opportunity arose for Isabel Ruíz Almeyda to share with the people in her former technical university (ITCH; BSc. 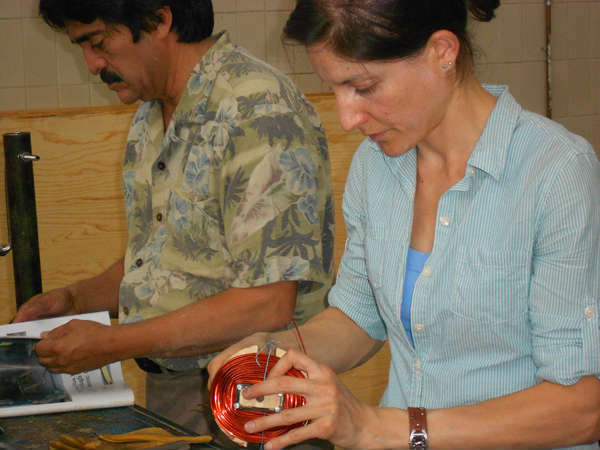 Degree in Mechanical Engineering, 2005), the Hugh Piggott´s design -wind turbine construction workshop- that she had taken and learned in The Netherlands during June 2010. 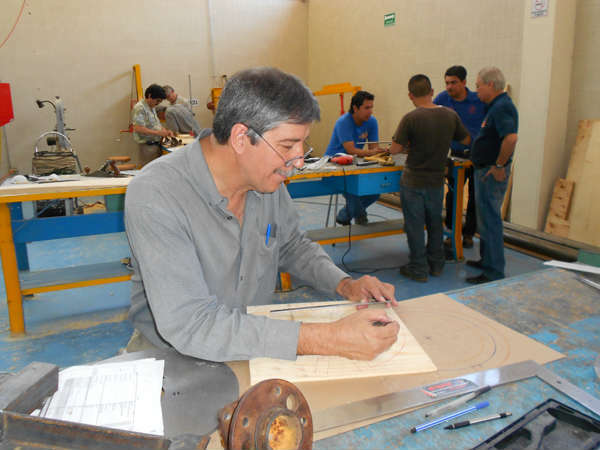 The dynamics of this workshop given in Chihuahua, México; were adapted to the new location. In this case was a group of about 30 participants, among professors and students from the ITCH. 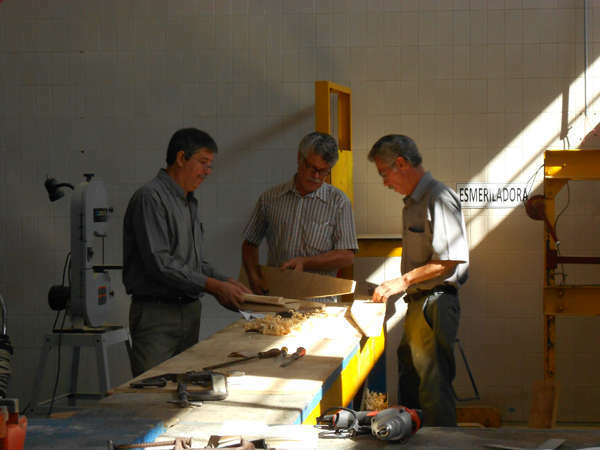 The workshop was given weekly on Fridays at the manufacturing laboratory (workshop). 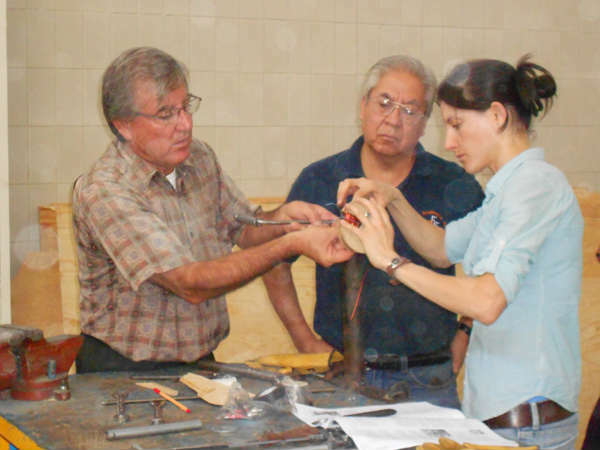 The materials were bought by the ITCH and Isabel Ruíz Almeyda managed the activity and gave the workshop. This was a very successfully activity. Hopefully soon it will help leading up to more wind energy research in this institution. Besides, the i-love-windpower network grew a bit more and the possibility to come up with further collaboration is open for the near future. At the end of the workshop Piet Willem Chevalier visited Chihuahua and he was great help during the rotor casting and wind turbine assembly, having the opportunity to meet and greet the participants there and let them know more about the i-love-windpower movement making an open invitation to everyone who would like to participate with this project in the future. earned and with a lot of possibilities of wind energy development in the future either as research or as technology implementation. Blanca Lydia García Luján (Academic Sub-director ITCH), Irene Nevárez Burgueño (Academic Development), Alma Trejo (Academic Development) for facilitating the process of ordering the materials and working out the ITCH internal buying procedures. Dr. José Luis Durán Gómez (Professor researcher), for starting this networked research collaboration. Francisco Terán A. (Physics Professor) and brothers: Oscar Terán A., Julio Terán A., for their proactive participation during this workshop. and all the people maybe not mentioned here, but not less important; since they also made this possible and contributed in one or another way to this purpose.